Twitter has been hacked…again. 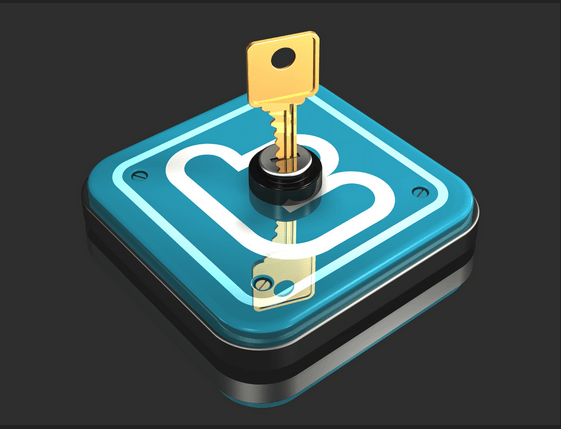 If you’re a frequent reader of this blog, you’re well aware of the security and privacy risks inherent to being an active internet and social media user. 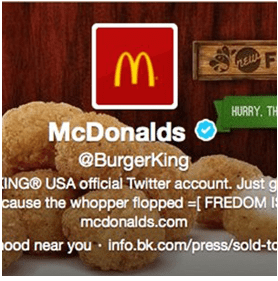 Fast food giant Burger King and Chrysler’s Jeep brand learned this the hard way when, earlier this week, both companies Twitter accounts were hacked. Burger King and Jeep responded similarly, removing the offensive and inaccurate tweets quickly and effectively, and making public apologies to their fans and Twitter followers. Despite the page being infiltrated, Burger King and Jeep both saw a large spike in highly coveted followers when both accounts were restored. As the saying goes, bad press is better than no press at all. If corporate Twitter account’s can get hacked, your personal Twitter account may just as vulnerable– the biggest difference is a hacker most likely cares a lot less about an account with very few followers, respectively speaking. But as always, we recommend making your usernames and passwords as strong as possible.